PALO ALTO – TJ Carrie can command a room, naturally engaging one without forgetting others. A smooth gait, comforting cadence and 1,000-watt smile makes him friendly and approachable, important traits for a beacon of hope. 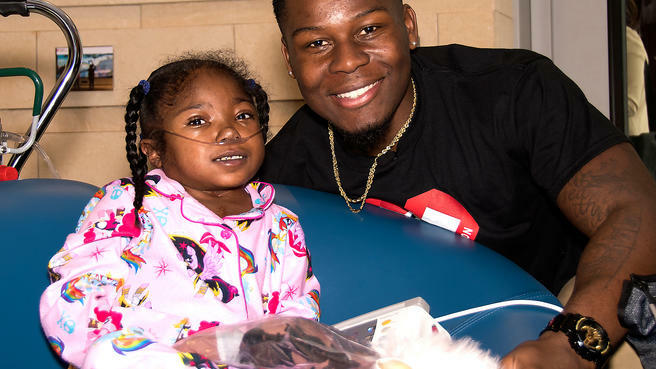 Scared kids and parents see the East Bay native and Raiders defensive back as a fairytale ending, proof that happier days are attainable following open-heart surgery.